From the born-and-bred to those who’ve arrived from another continent, we asked a number of people living here to reflect on and write about their relationship with Sheffield. My first memory of Sheffield was a trip to Bramall Lane. My dad took me watch the Blades play Portsmouth in December 1999 – Paul Devlin scored the only goal in Neil Warnock’s first game in charge. It wasn’t love at first sight, mind. I was primarily focused on getting my hands on that season’s home kit and informed my dad “We can go home now!” before the match had even started. It wouldn’t be the last time Sheffield United left me disappointed. Those days out formed a special part of my childhood. As well as delivering the usual highs and lows of following a football club, they introduced me to the city of Sheffield. I’m not from here originally – I grew up just over an hour away in Lincoln. But I built up an understanding of the place through visiting every other Saturday. I felt familiar with the accent, recognised street names and started listening out for local bands. My connection to Sheffield developed gradually, and I feel neither an outsider or a local as a result. This probably plays into my glass half-full appreciation for Sheffield. Moving here, I did not feel the jarring impact of a jump into the unknown. I was prepared for the hills, had already warmed to the suspect urban planning and arrived knowing what to expect. Likewise, having a bit of space from the city proved handy. Weathered Sheffielders are used to talking down their hometown – be it the nightlife, culture or ring road traffic – but this intriguing place has so much more to offer. Growing up, I remember hazy summer afternoons in the Peace Gardens and nights at the Crucible fondly. But my strongest memories involve activities left off of most Trip Advisor itineraries: going to Decathlon for a game of ping pong? Essential. Sheltering from the rain in John Street cafes? I still love heading to the Harland for this. Pre-match Chinese buffets on the Moor? OK, I often wonder how that one became a thing. Habits that became part of an unquestioned routine as the years went by. Weathered Sheffielders are used to talking down their hometown – be it the nightlife, culture or ring road traffic – but this intriguing place has so much more to offer. 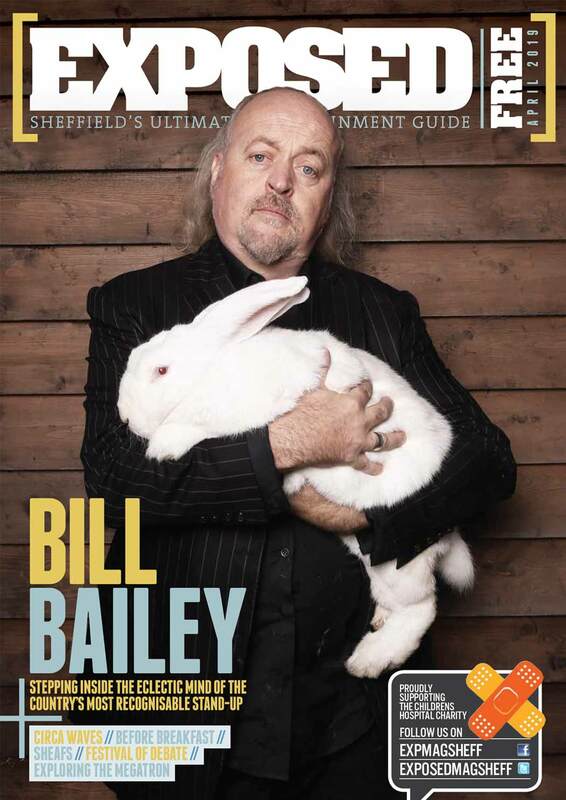 Sheffield offered me somewhere to dig deeper into music as a teenager. Along with the obvious draw of live gigs at the Leadmill, I lapped up references to the Steel City in Arctic Monkeys’ lyrics and videos (I know many others did the same). My group of friends began pencilling in trips to Tramlines each July, pretending to know the best pubs and feeling welcome in the city-wide celebration. I looked into the post-punk pioneers who learnt their trade in disused factories, appreciating the powerful political and social histories ingrained in Sheffield’s industrial buildings. At the same time, I fell for the city’s natural beauty. It’s incredible that you can hop on a bus or train and reach in the Peak District in fifteen minutes – I hope I don’t end up taking that for granted. As one of those Bloody Cyclists clogging up the roads, I can’t imagine a better place to live in the UK. I’m still new to Sheffield, really. I properly moved in two months ago and am unsure what the future will bring. But I do feel at home here. The city’s manageable size and the warmth of its people makes forging new circles feel that bit more possible. Keep it up, Sheff.